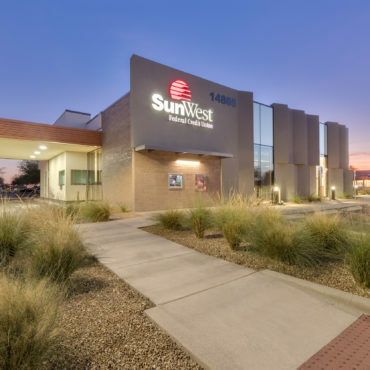 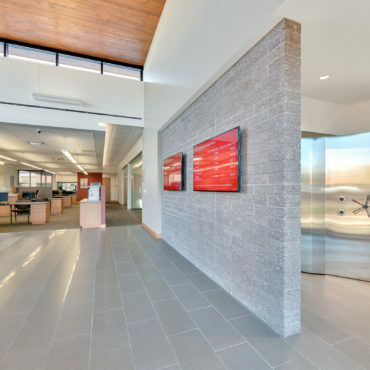 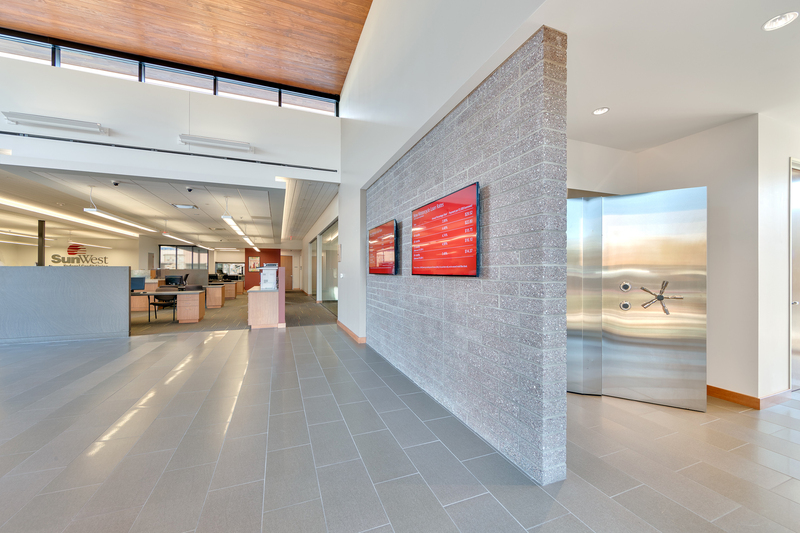 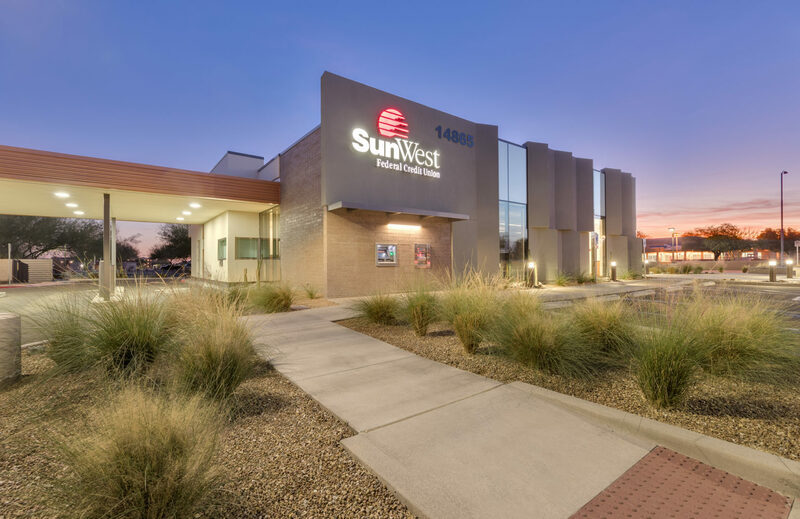 SunWest Federal Credit Union in Surprise was the first ground up branch bank that SunWest Federal Credit Union constructed. 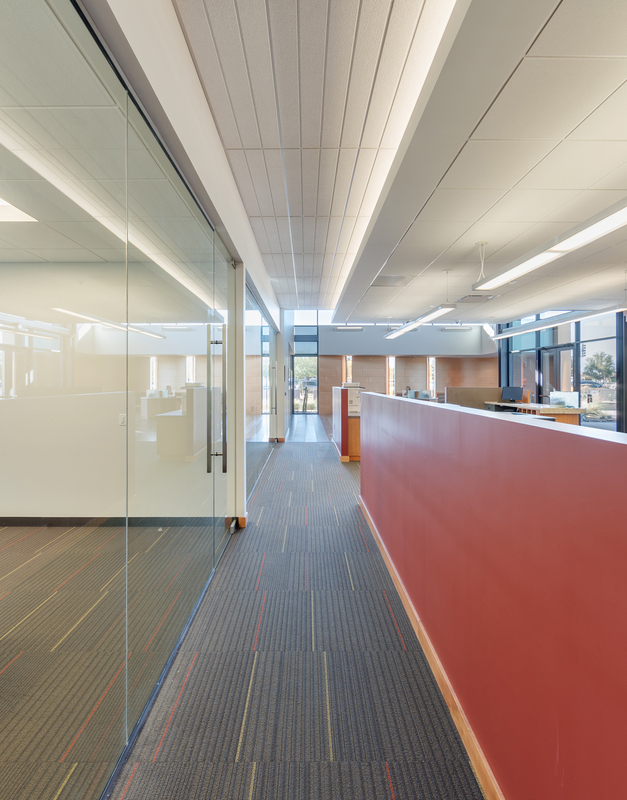 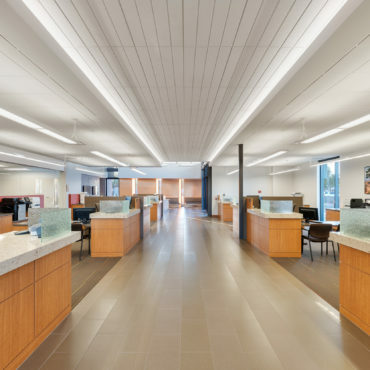 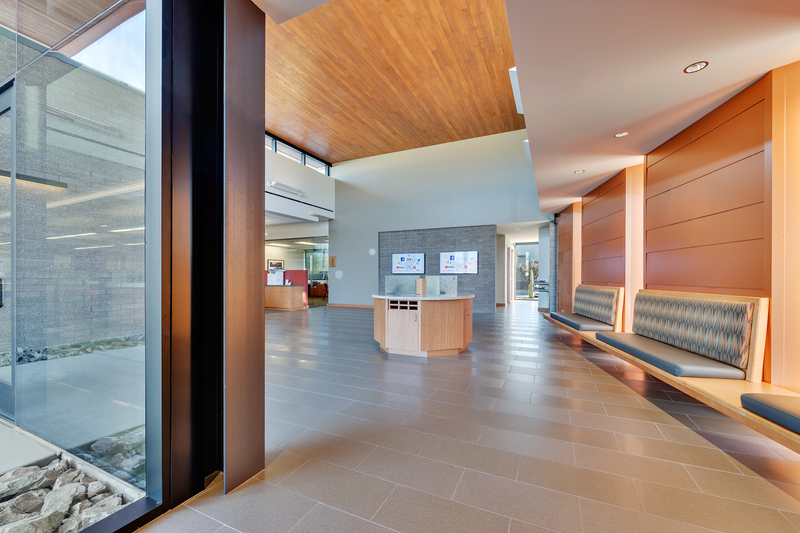 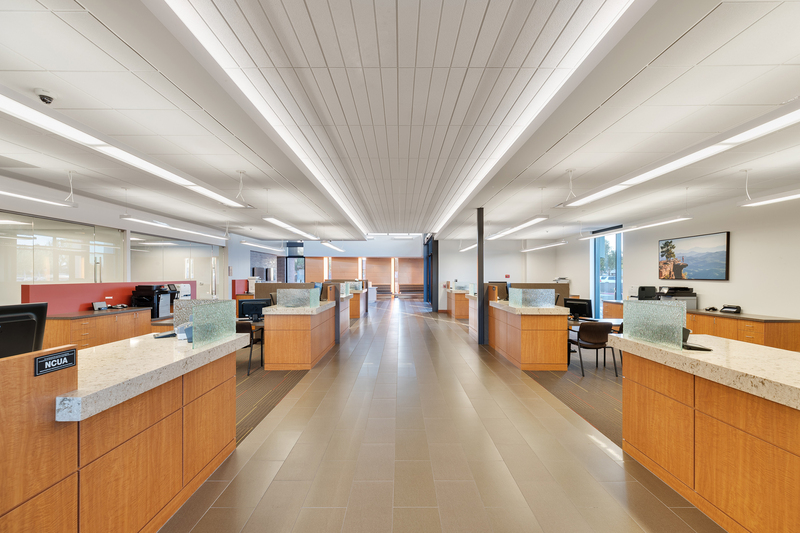 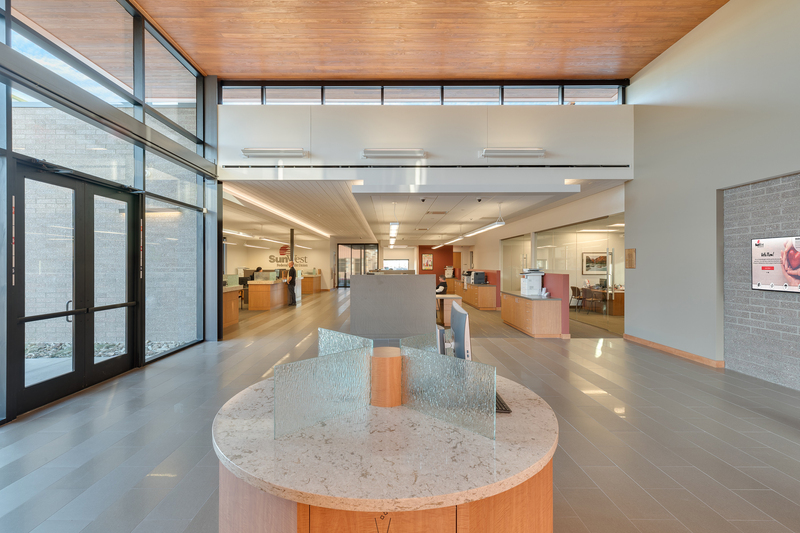 Working in conjunction with SmithGroup JJR, Stevens-Leinweber provided pre-construction services to assist the team in the development of SunWest’s first new branch bank locations. 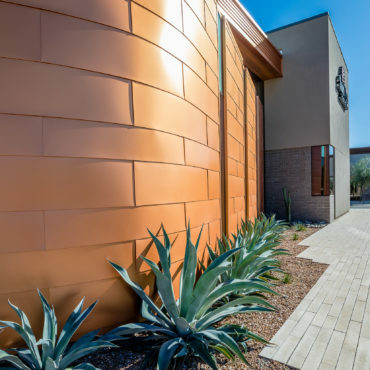 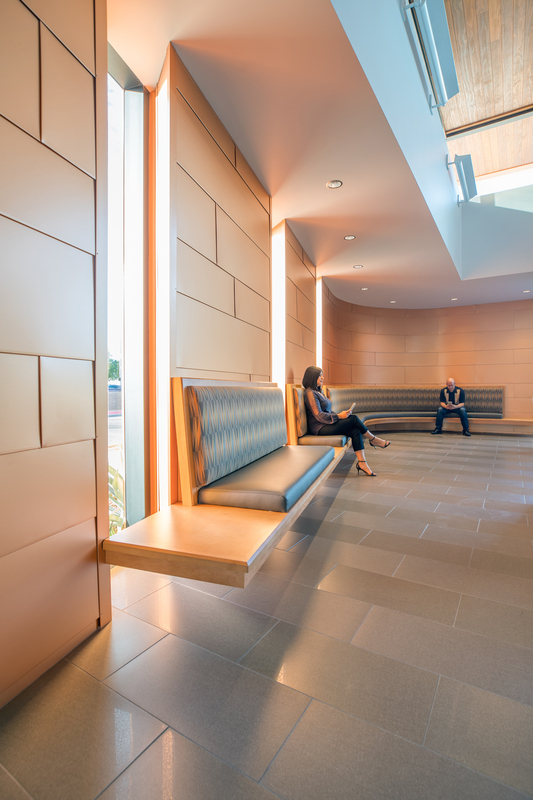 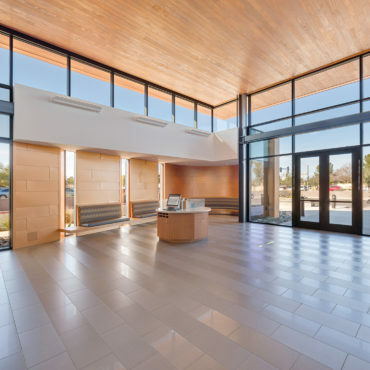 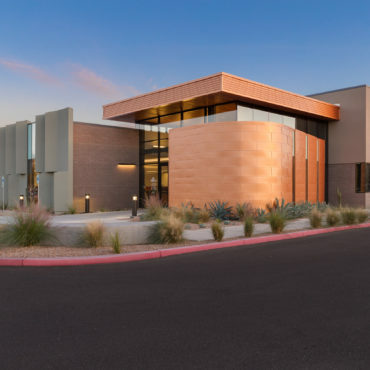 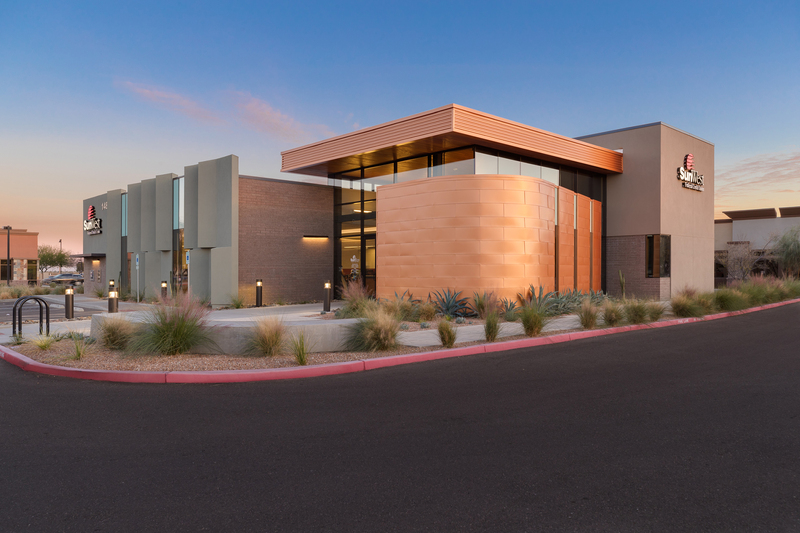 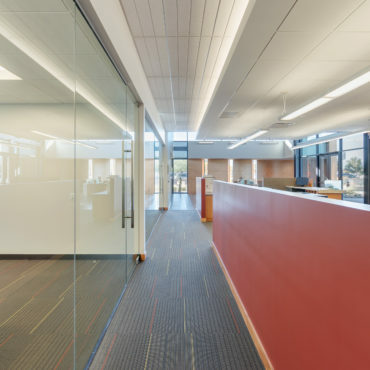 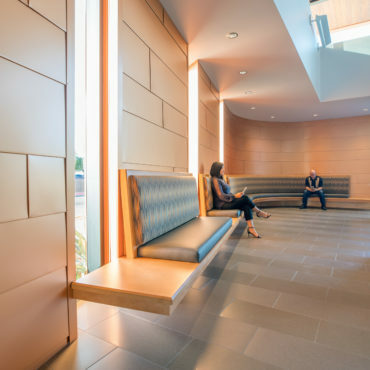 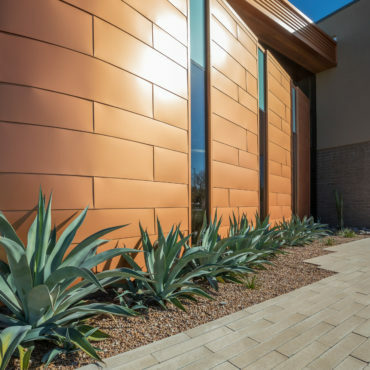 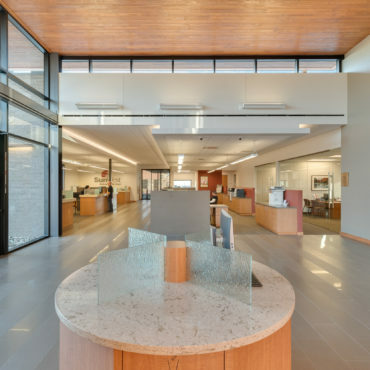 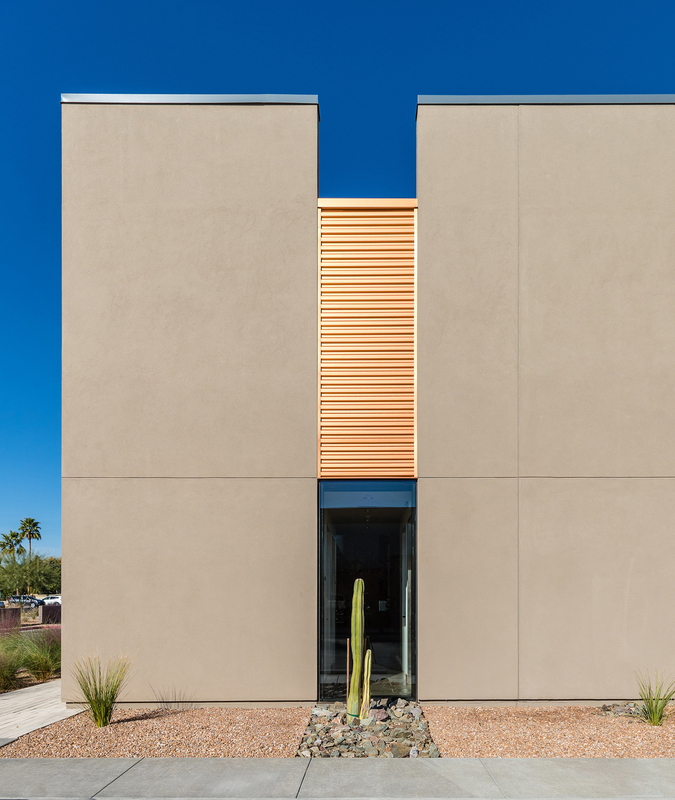 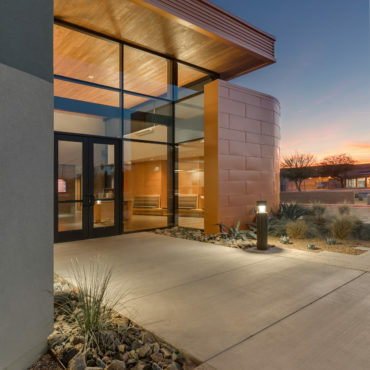 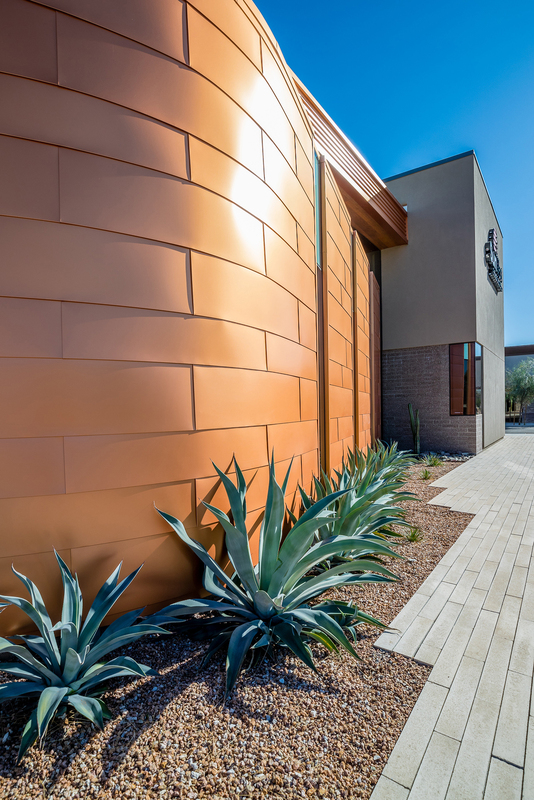 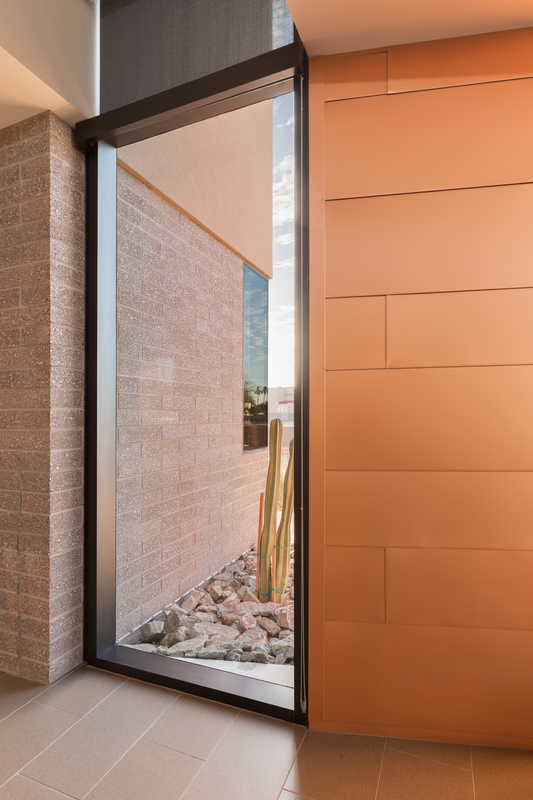 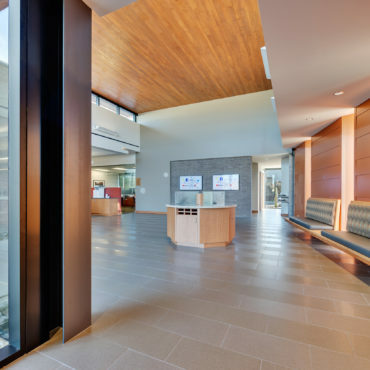 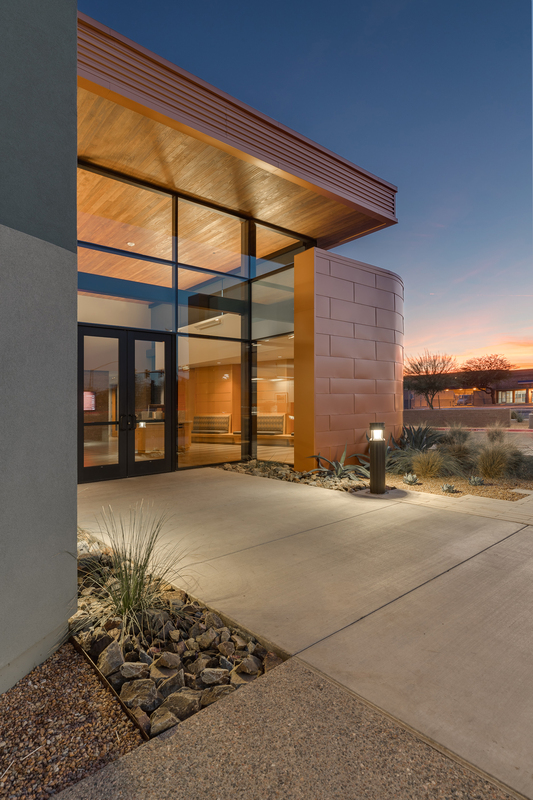 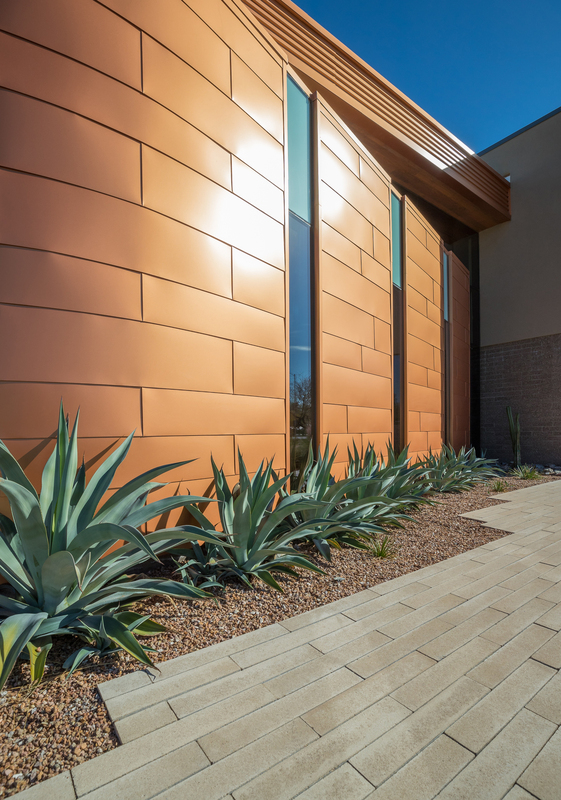 The 6,500 SF structure is masonry and steel, with an exterior facade of integral colored masonry, copper colored metal panels, and EIFS accents. 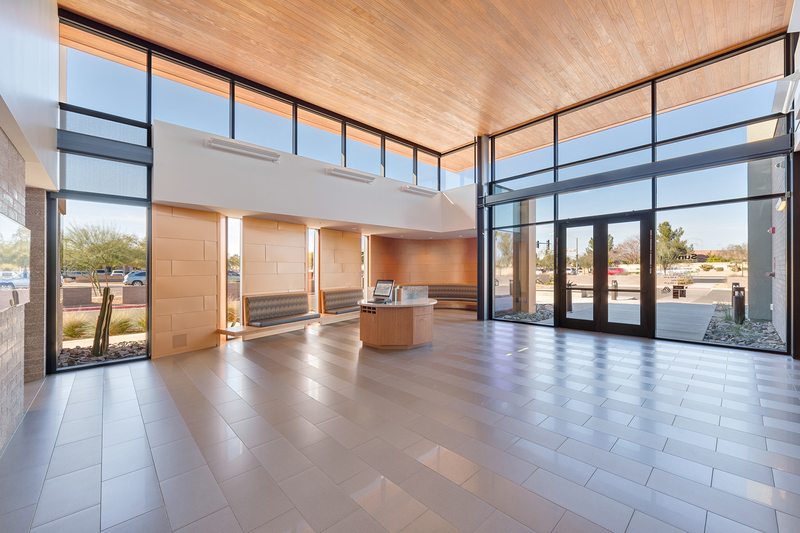 The over-height entry lobby has a stained wood tongue and groove ceiling above clerestory windows that bring the space natural light. 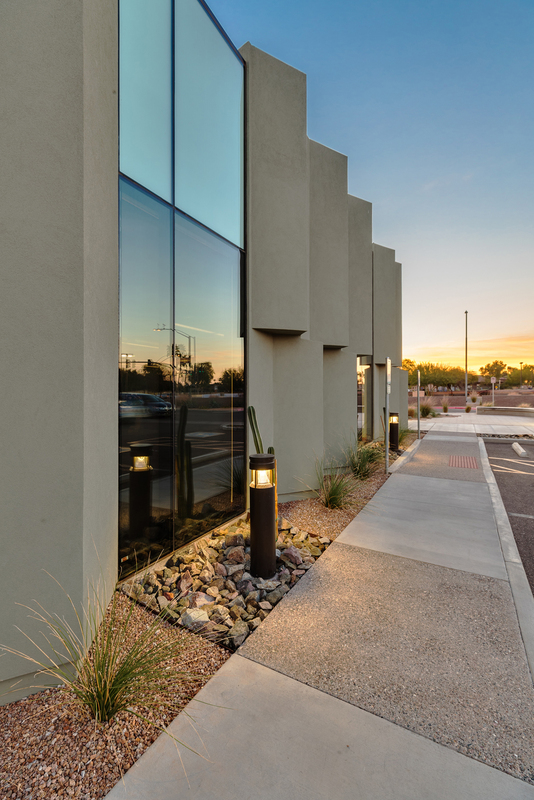 Stay tuned for news and updates from the SLC team. 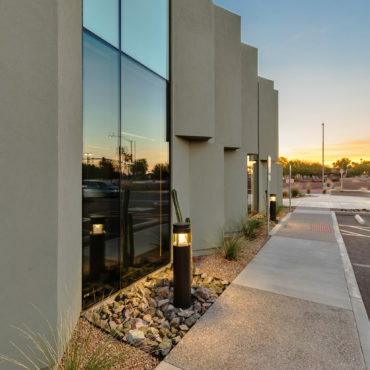 Arizona License #070673. 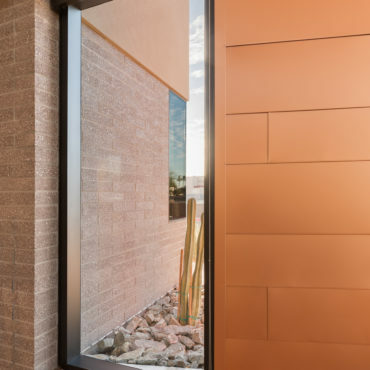 © 2019 Stevens-Leinweber. 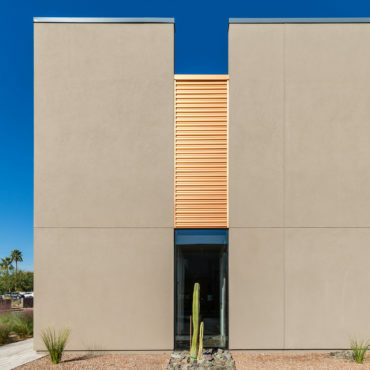 Site by Mind-Blowing Things.